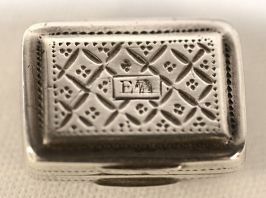 There is a monogram to the cartouche on the lid. The base displays the town mark, date and maker. 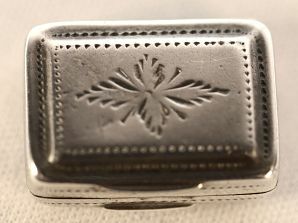 The lion passant, duty mark and maker are inscribed on the lid. 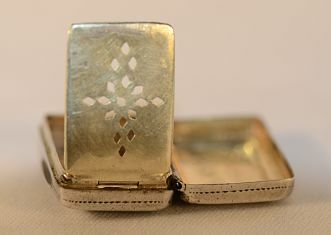 A dainty and collectible piece of antique silver.